You know that moment when you’re running and have gone past your normal time limit, but somehow feel like you can just keep going? You’re in the same physical condition as the week before but outperforming yourself. And then you remember the compliment your boss gave you on the way out of the office—A ha! The power of a mental boost. Physiologists theorize that our brains are programmed to tell us we are physically exhausted before we actually are. It’s a handy little body protector mechanism so we don't burn all of our oil. But when your brain is on fire (for example, after a good day at work or even a bad day at work), sometimes we can tap into that extra energy that lies within us. To prove this theory, University of Glasgow recently asked 15 male endurance-trained runners to take a legal form of erythropoietin, or E.P.O., a substance that increases the number of red blood cells in the body (a similar concept to doping). The runners were assured that the drug was legal and safe and should improve athletic performance. But what was thought to be a power-boosting drug was actually a placebo given in the form of a saline injection. The runners completed a three-kilometer race to determine their baseline first without the placebo, and then went through rotations of receiving “drug” injections. 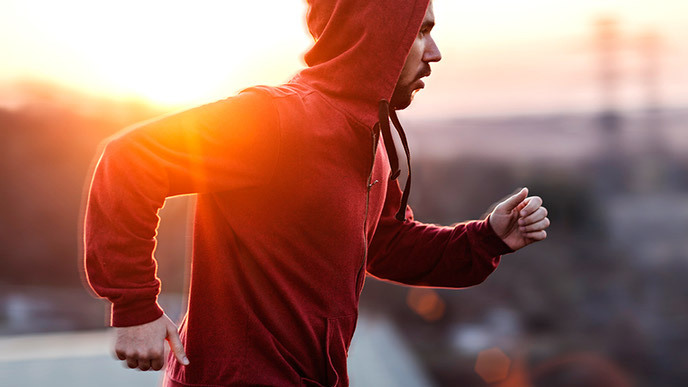 The results were truly remarkable: After receiving injections, the runners reported having better workouts, feeling less tired, being more motivated to push themselves and even having better recovery. Most significantly, they improved their baseline race time by 1.5 percent. After the experiment was over, the runners reported going back to their normal endurance levels. The lesson here, besides proving unconscious psychological effects, is that our minds are so incredibly powerful. That said, there is such thing as physical burnout (which includes feeling tired instead of energized, having trouble sleeping or even the feeling of “heavy legs”). Discovering your true limits is a matter of trial and error and balancing workouts, but now you have more reason to test your strength. New York Times: A Placebo Can Make You Run Faster?